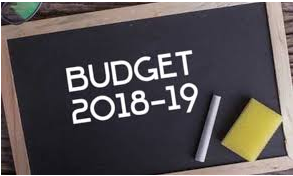 In pursuance of the orders issued in references read above, the commissioner School Education Department is hereby issued a Budget Release Order For an amount of 3,87,57,000 /- (Rupees Three crore eighty seven lakh fifty seven thousand) from the BE provision 2018-19 (Rs.232.54 Lakh as Central share and Rs.155.03 Lakh as Matching State Share), as Recurring Grant for implementation of S.No. Head of Account Innovation fund of Secondary Education under Integrated RMSA for the year 2017-18. The (Secondary Education Secretariat) Shall take necessary action for issue of administrative sanction as per instructions issued in U.O Note No. 29875-A/1283/A1/BG.I/2006, Finance (BG.I) Department, dt.25.11.2006.